How to display peaks by size (instead of by area)? The peaks in your distribution are out of order? 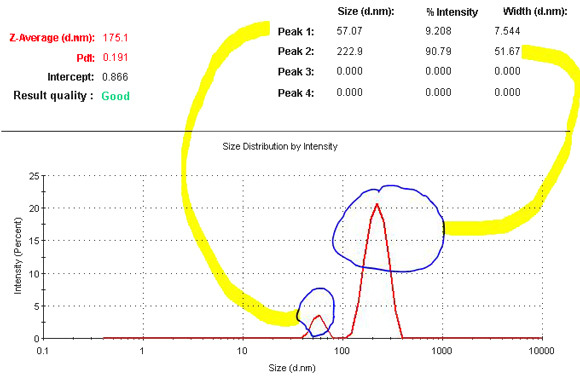 Size measurement results are typically viewed in the Intensity PSD (M) tab. This is part of the standard Size and Summary workspaces. When a record contains more than one peak, these results will be tabulated in the table above the intensity size distribution. The default ordering in this table is by significance, and that means in terms of how much signal each peak contributed to the record. 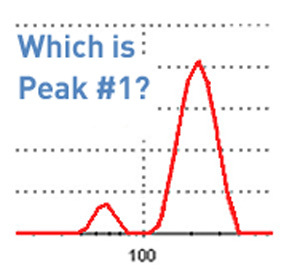 For example, if a result contains a “strong” peak with an additional “minor” peak, then the table would show the “strong” peak as Peak 1, and the minor peak as Peak 2. The peak order is in terms of their %intensity (percent intensity) significance, and this is the default peak ordering in the Zetasizer. Occasionally, it may be more desirable to display peaks in a consistent size order. 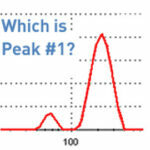 For example, if two peaks are very similar in their significance, then repeated runs may sometimes cause the lower size peak to be Peak 1 and other times the higher peak to be Peak 1. This can be circumvented by showing the peaks in a different order: the software also contains the result in a form known as “Size Peaks (by size)” and these could be utilized in a custom report with the report designer. Fortunately, there is a pre-made report (with the name Intensity PSD (up to 4 peaks)) for you so no need to reinvent the report from scratch. To download get Peaks-by-size and install on your computer*. 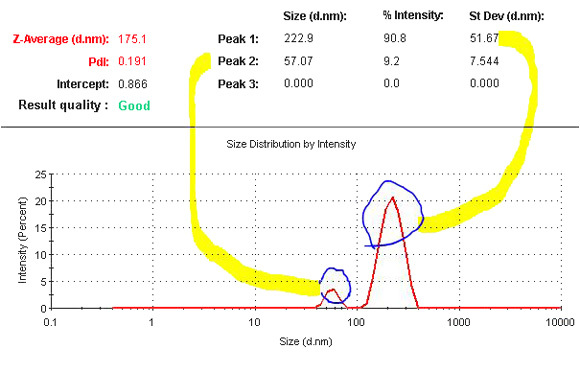 The table layout then shows the peak with the smallest mean size as Peak 1, the next larger size as Peak 2 and so on. The results themselves are of course not affected by this display, it is only the order in which they are shown in the table above the graphic distribution plot. The characteristic values of the peaks (mean, %intensity, width) remain the same. * The above report can be downloaded, just unzip and place into the folder C:\Users\username\Documents\Malvern Instruments\Zetasizer\Reports\en-US\Size then start the Zetasizer software, and edit the workspace you would like (for example the Size workspace) to include this report named “Intensity PSD (up to 4 peaks)”. An additional perk of this report is that while the standard report shows up to 3 peaks, this table includes up to 4 peaks. 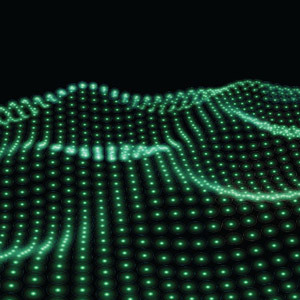 (Of course, this is only relevant for very polydisperse samples, and the need to look at so many peaks may be an indication of non-ideal data quality). 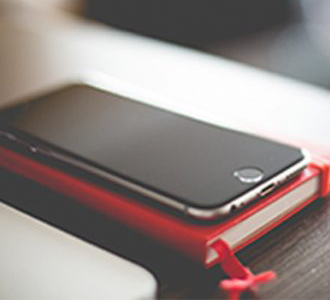 Customize reports for the Zetasizer…?